In 1864, Harper’s Weekly published a collection of carte-de-visite portraits of enslaved children from New Orleans. The collection proved shocking because many of the children pictured appeared to be white. 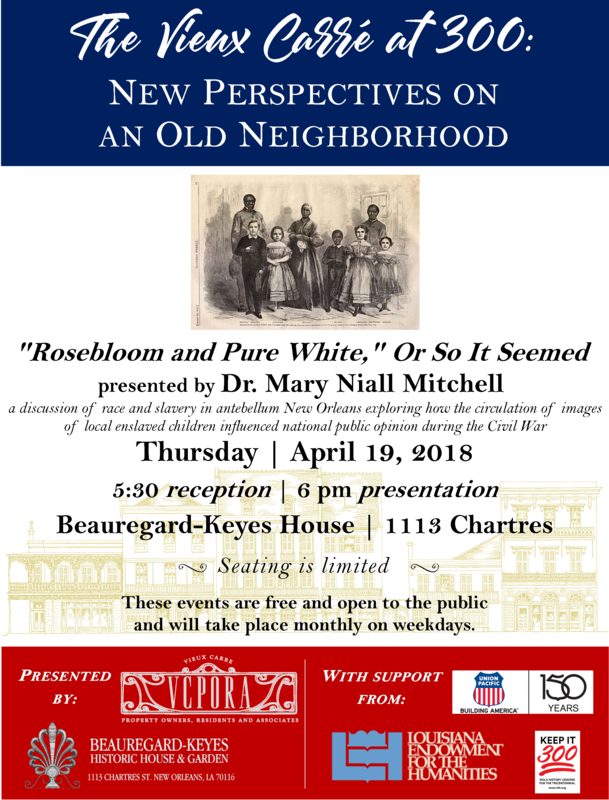 Dr. Mary Niall Mitchell, Co-Director, Midlo Center for New Orleans Studies, University of New Orleans, will present her research on how these images, circulated at the height of the Civil War, caused a great shift in public opinion as Americans were forced to consider the uncomfortable truth of miscegenation, and its many implications.